På Camping La Pointe i Chateaulin (Finistère) camperer du allerede for €16,- per nat i lavsæsonen med CampingCard ACSI. På en af de 60 åbne pladser opholder du dig under 15-03-2019 - 06-07-2019 og 27-08-2019 - 15-10-2019 med rabat. På denne campingplads kan du, udover fordelagtig campering med dit CampingCard ACSI, også bruge dit ACSI Club ID (stedfortrædende identitet). Basal, rolig og velholdt campingplads, hvor venlighed, hygge og gæstfrihed står i første række. Ved dens centrale beliggenhed i Finistére er denne campingplads et godt udgangspunkt for mange spændende udflugter i dette område. Centrum indenfor gåafstand (1,5 km) langs med den smukke kanal 'Nantes-Brest', hvor der også kan cykles. The new owners are so kind and helpful. Site is beautifully kept, very peaceful, with walks through the woods as well as along the canal. Freshly laid eggs as well as morning bread and pastries. Cannot review sports facilities or child friendliness. One of the best sites we’ve been to, stayed for eight nights in June, it was like camping in a park, it was so pretty. Had two wonderful evenings with our fellow campers at the weekly crepes and wine get together. Lovely owners. Very friendly and nothing too much trouble. Our first visit and definately won\'t be our last. A gem of a site with friendly english owners situated by the canal with a walk into the town along the tow path.Large pitches .Toilet facilities a bit dated but have seen a lot worse. Hot water. We only stayed one night because of the weather but its a definate for a longer visit. First of many future visits to this lovely, friendly campsite. Possibly one of the best we\'ve been to. Set in a beautiful woodland valley, on the bank of the Nante-Brest canal, close to the pretty town of Chateaulin. First afternoon was lovely warm and sunny, went on a walk along the canal and had a very nice meal in the town. Had some fresh laid eggs from the campsite chickens for breakfast. English owners were very welcoming, with good local knowledge of the area. Shower/toilet block clean with good sized showers and well stocked with toilet paper/soap and hand towels, rarely found in other sites. Information room well filled with details of attractions in the Brittany. Can\'t wait to come back and explore more. Visited the site for a one night stop over, found the English owners very helpful, great toilet facilities though dated but very clean, and the toilets are a decent height not them where you are almost sat on the floor. Walked into town along canal lovely only spoilt by the piles of dog mess on the path. Very well located for days out and peaceful at night. Pleasant campsite where you are made very welcome by your English hosts Julie & Marcus. Easy 20 min walk into lovely town of Chateaulin. Good dog walking along canal path, nice clean shallow sections if your dog likes a dip. Free wifi throughout site. There are tall trees around site that block satellite reception on some pitches. What a great site, good position. The site is well maintained. Friendly owners very helpful. The area is very interesting with lots sites to see. I would happily visit again. 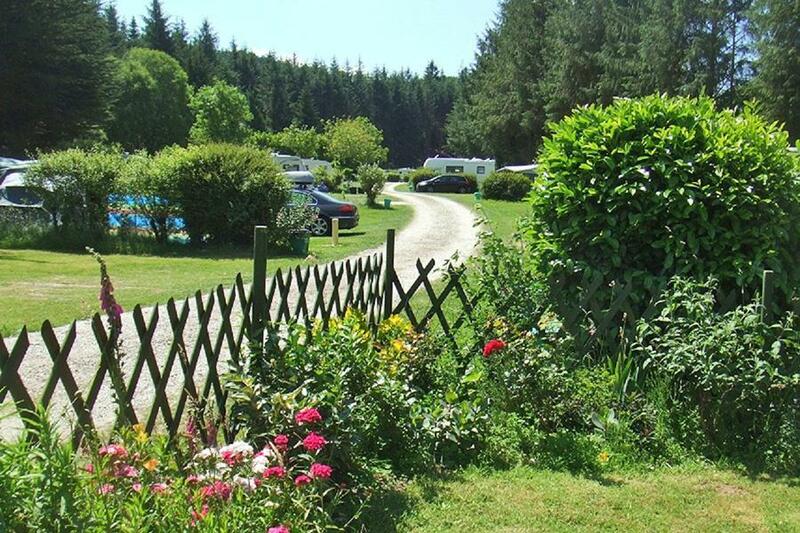 This is a lovely friendly site in beautiful green surroundings. We had a pitch right by the stream and at night all you could hear was the stream and the owls hooting in the nearby wood. The shower block is kept spotlessly clean and although quite old has everything you need. Plenty of hot water and we really appreciated the extra touches such as soap and hand towels in the washing cubicles. Vil du booke Camping La Pointe eller have yderligere information? Det kan du via nedenstående oplysninger. Kør i Châteaulin mod Saint-Coulitz, følg herefter skiltene. CampingCard ACSI sender din forespørgsel videre til "Camping La Pointe".